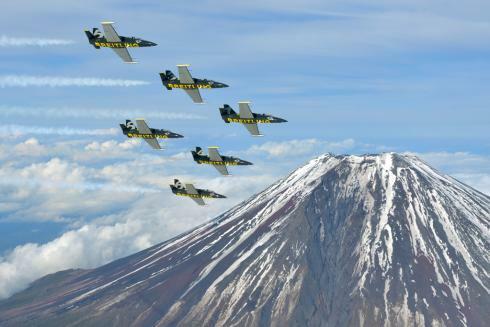 Home‣Breitling‣Breitling Jet Team to Fly in the U.S.
As public relations agency of record for Breitling USA, Centigrade was excited to manage the announcement on the debut of the Breitling Jet Team in the United States. 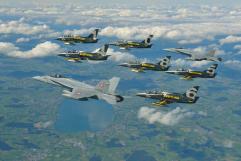 The Breitling Jet Team is the largest civilian aerobatic display team of its kind and comprised of seven L-39 C Albatros jets that can reach speeds of up to 565 mph and fly within only a few feet of each other. 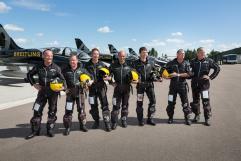 The precision and skill demonstrated by the team personifies Breitling’s ties to aviation. Since developing onboard chronographs for airplane cockpits, including World War II propeller-driven fighter planes, Breitling has been known as the authentic partner of aviation and a favourite among pilots. Centigrade coordinated the media outreach around this exciting news with placements in outlets including the Associated Press, Plane & Pilot Magazine, International Watch Magazine, Flying Magazine and more! Centigrade will continue to support the anticipation with media trips to the Jet Team home base in Dijon, France, along with exclusive press events with the Jet Team throughout the year. Make sure and visit the Centigrade website and social media accounts for additional updates on this adventure!